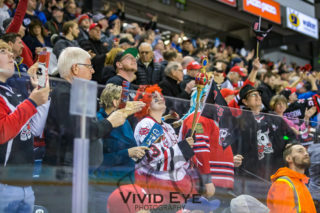 The Niagara IceDogs hit the road, along with nearly 200 fans, for Oshawa for Game 4 of the Eastern Conference Semi-Final series against the Generals. The IceDogs saw the return of Akil Thomas to the line-up tonight. The opening period in this one was the exact opposite from that of Game 3, it was full of goals. While the IceDogs controlled much of the play, they found themselves down by a goal heading into the middle frame. Matt Philip opened the scoring with a wrist shot from the slot that beat the goaltender high glove side. Ben Jones and Matt Brassard were credited with the assists on Philip’s first of the post-season. 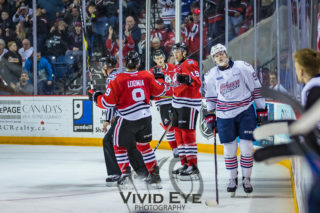 The Generals score three consecutive goals, but just when it started looking like Oshawa would be heading into the second period up 2 goals, Akil Thomas scored a beautiful slap shot from the face off circle to bring the ‘Dogs within one! Elijah Roberts had the puck at the blueline and passed down to Drew Hunter, who fed the puck to Thomas through a crowd. 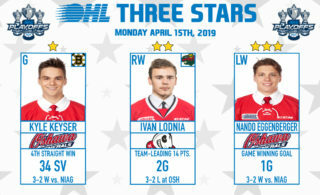 The IceDogs were hoping to ride some of the momentum gained from Thomas’s 3rd of the post-season into the next period. The IceDogs continued to hold on to much of the play in the second period, but found themselves down a goal heading into the third period. 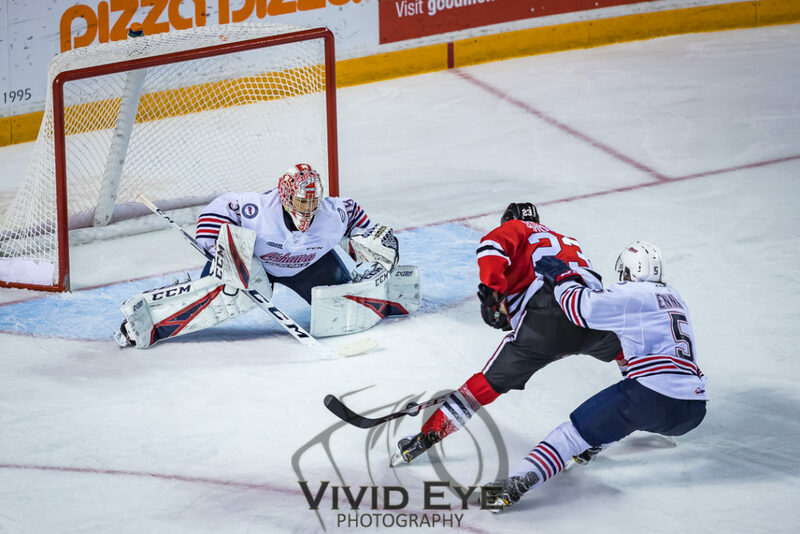 The Generals capitalized with 18 seconds remaining on a 4 minute power play off an IceDogs error that proved costly. ‘Dogs nearly got themselves back on the scorecard several times, but couldn’t get to the puck into the net. The Generals scored 3 goals in the third period to win this game 7-3. 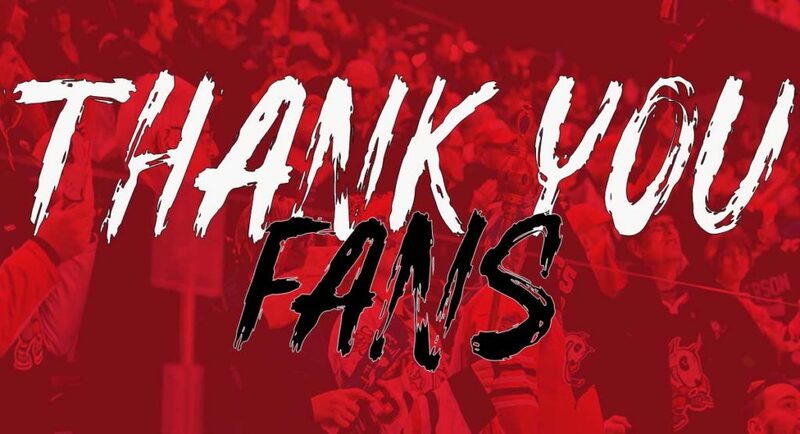 We know we’re going at least 6 games in this series, but what we don’t know is if you have your tickets to Game 5 yet.